Friends of the Earth welcomes the appointment of Russell Northe, the member for Morwell, as Victoria’s new energy minister. “The appointment of Russell Northe as energy minister gives Victoria the chance to hit the reset button. Mr Northe now has the opportunity to restore sensible energy policy in the state,” said Friends of the Earth campaigns coordinator, Cam Walker. “In the wake of the Hazelwood fire, it is clear that the government’s plan to develop a coal export industry is doomed to fail,” adds Cam Walker. 408 indirectly associated (flow-on) jobs. “The Baillieu anti-wind farm laws have cost the state jobs and investment. Will the new energy minister help to restore fair laws for wind farms and create jobs in Victoria?” asked Friends of the Earth renewables spokesperson Leigh Ewbank. The energy minister will have to quickly formulate a position on the Abbott government’s Renewable Energy Target Review. 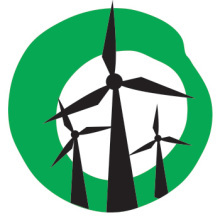 The Renewable Energy Target is a key driver of wind farm projects in the state. “Tasmanian Liberal leader Will Hodgman opposes changes to the Renewable Energy Target. Will Russell Northe go into bat for Victoria’s renewable energy sector?” asked Ewbank.